This fund assists bereaved member families of the Temple in time of loss. Donations to the fund provide the monies to assure that necessities such as food and services are provided to the member families during the mourning period. This is an important Mitzvah. If anyone in your family is seriously ill or hospitalized, please inform the office promptly. A Tree Grows- but not any tree! Ours is a special tree, A Tree of Life. Share the joy of all your happy occasions (births, Bar and Bat Mitzvahs, marriages, and anniversaries) with the entire congregation, by purchasing a bronze leaf. Leaves with a personalized inscription are $160 each. Call the Temple office at (201) 391-4620 for information. 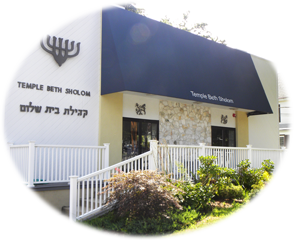 Plots are available in the Temple Beth Sholom section of Cedar Park in Paramus. For information, call the Temple office at (201) 391-4620. Need Kippah for your Simcha? If you will be needing Kippah for your Simcha, why not buy them through Temple Beth Sholom? It's a great way to help us fund-raise. For information contact the temple office at (201) 391-4620.